Come in different sizes to meet customer needs and environmental regulations. For over a decade THOR-ICE has been a supplier of reliable and efficient slurry ice machines, generators and complete systems for food processing, where chilling is crucial for an extended shelf life of products. 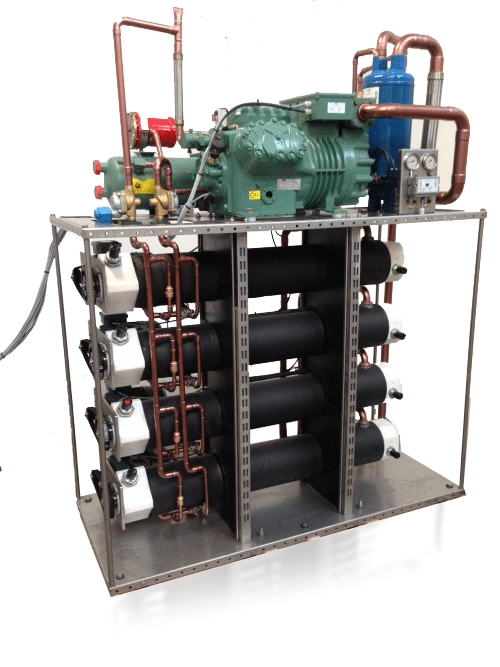 The Thor-Ice Range of IceSlurry/Slurry Ice Machines range from smaller installations intended for boats or operations on land to scalable industrial series for land based applications and large installations at sea.